You can prepare the USB/SD device with the ESXi installer, plug it into your server and install it to the device itself by overwriting the installer. You can also use customized installers when your hardware requires special drivers. 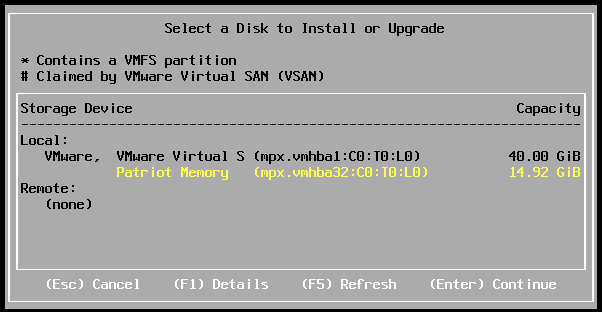 Download or create an ESXi .iso Image. You can also use pre-customized Images (HP, Dell, IBM,...) or self-created Images (Intel NUC, Gigabyte Brix,...). 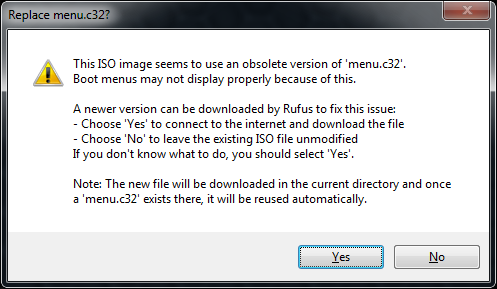 Rufus will now create your bootable ESXi Installer USB Flash Drive. If you want to go a step further, you can fully automate the installation by placing a kickstart file on the USB/SD device. Follow step 1-9 from the guide above. 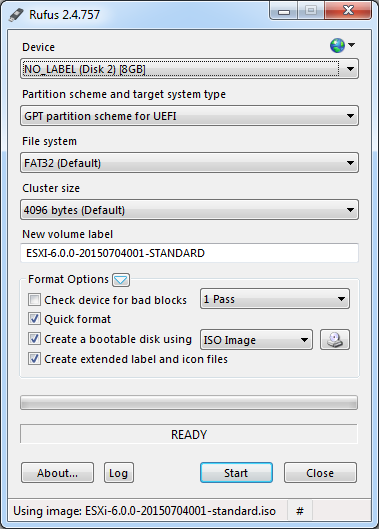 Navigate to the Flash Drive and open boot.cfg with an editor. Make sure to use an editor that can handle UNIX encoding. Disconnect the USB/SD device from your computer and connect it to your server where you want to install ESXi. Boot the server from the USB/SD device. It should now automatically install ESXi and boot with a DHCP enabled network interface. The password for the root user is set to "vmware". NOTE: You MUST have a password > 8 chars for ESXi 6! I tried followed this guide and it didn't work until I increased my password length.